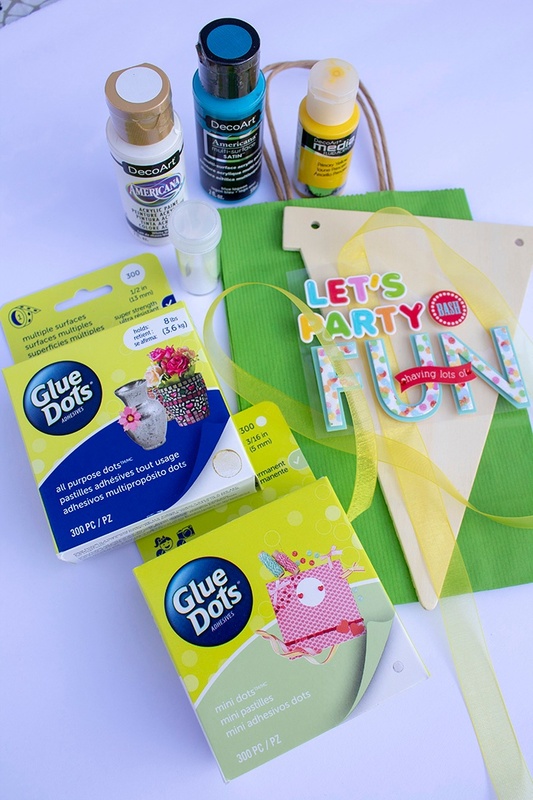 Add extra dimension to any plain gift bag with a variety of craft items and Glue Dots®. 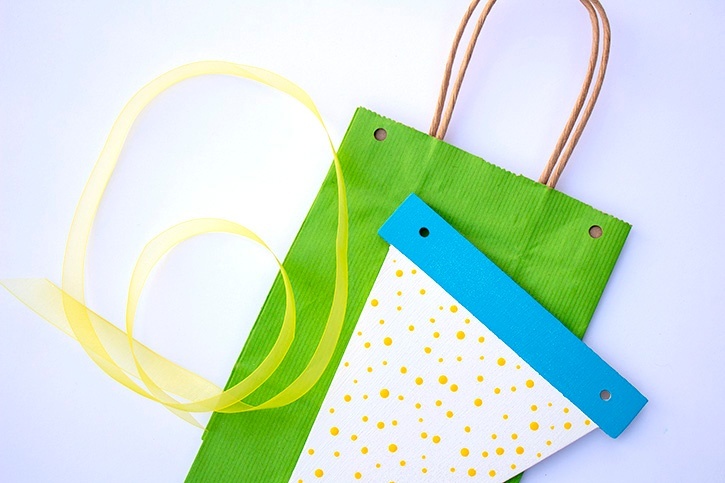 Be sure to read the tips below to find out how to make stickers bond to projects permanently. Size: 8" x 5 ½" x 3"
Apply two coats of white acrylic paint to pendant. Allow the paint to dry between coats. Attach painter’s tape, blocking of the top of the pendant. Apply two coats of blue acrylic paint. Let it dry and remove tape. Use the end of a paintbrush to dab small circles of yellow acrylic paint onto pendant. Let dry. Sprinkle micro glitter over pendant and spray one coat of clear acrylic sealer to set glitter. Let dry. 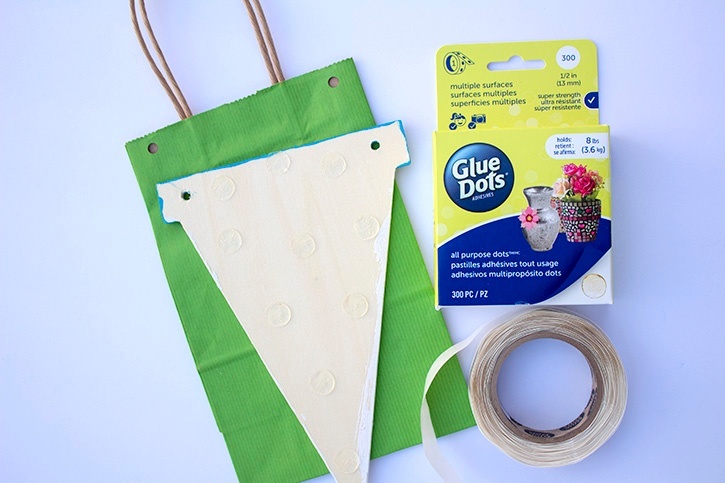 Punch two holes into the front of the gift bag (be sure that they will line up with the wooden pendant), adhere All Purpose Glue Dots® to back of pendant, and attach it to the bag making sure that you line up the holes. 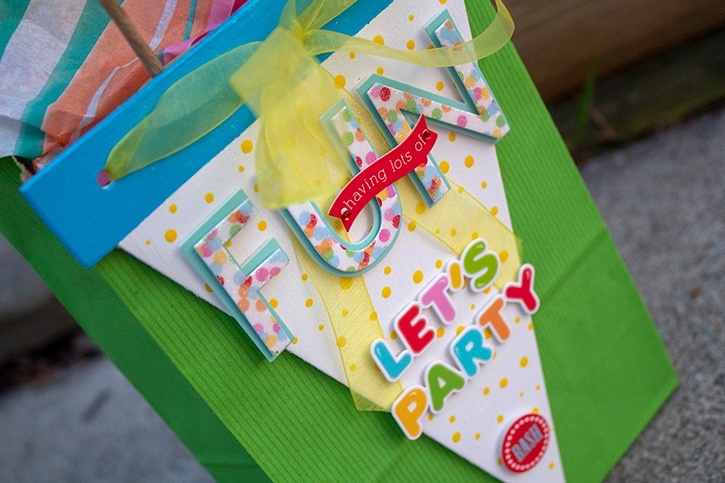 Insert your ribbon into the holes and tie a bow. 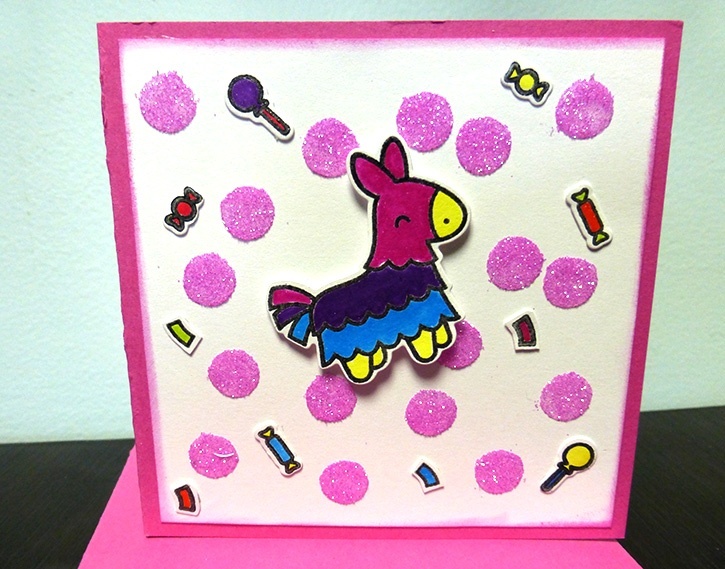 Use Mini Dots to apply the party stickers to pendant. Tips: Stickers lose their adhesive abilities over time. 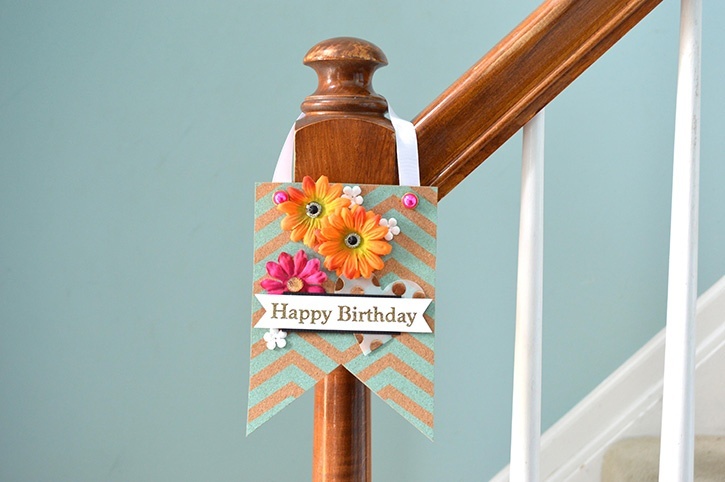 Use Glue Dots® to bond stickers to projects for added peace of mind. 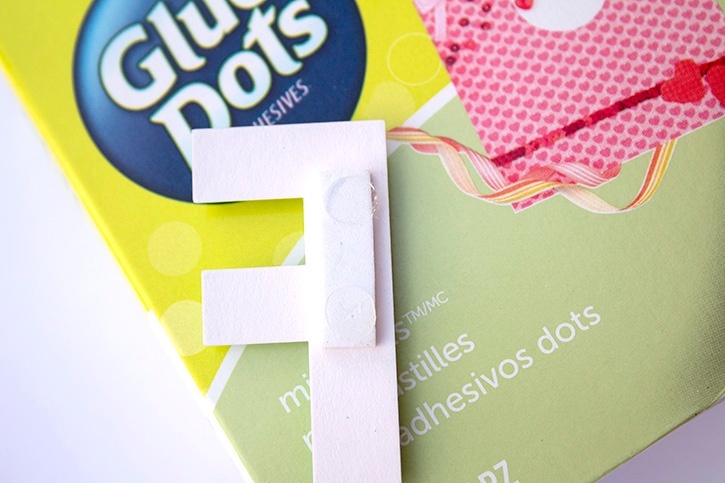 Tips: Use Glue Dots to hold the ribbon in place. A Mini Dot was added to this project behind the bow’s knot to secure placement.